Features: Sunlight glistens on Jay Strongwater's Claudia Tulip 3" x 4" Frame, allowing the jeweler’s craft of hand carved textures and hand-polished details to shine. Pewter metal is finished in 18kt gold at the Jay Strongwater Rhode Island workshop. 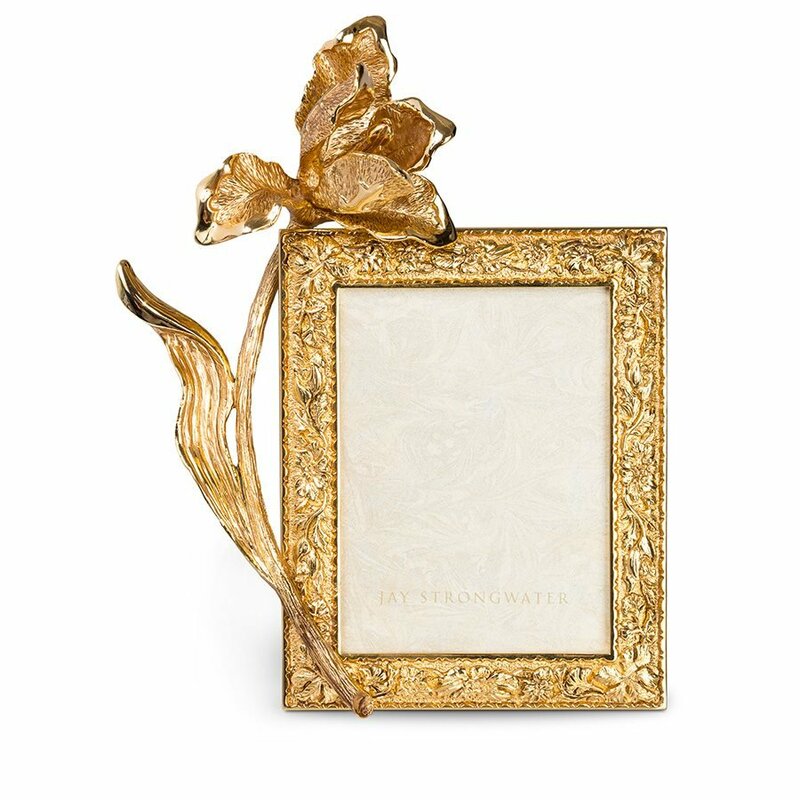 The unadorned frame has a polished mahogany wooden back from Spain.